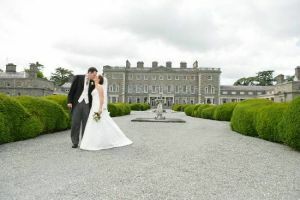 Opened in May 2002, Carton House golf club retained the services of two of the Worlds best known, golfers to design the two magnificent layouts at Carton House in Maynooth. The project was developed by Sporting Concepts Ireland in conjunction with European Golf Design. 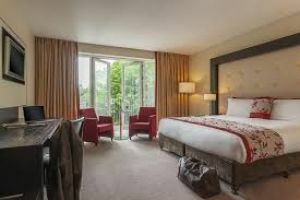 Together they have added another two "jewels in the crown" of Ireland’s growing number of premier Irish Golf Clubs with in easy access of Dublin City. 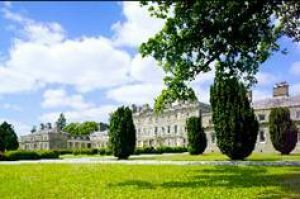 The O’Meara course tastefully used the tree lined terrain that existed at the Carton House golf course, with some of the most spectacular holes to be found anywhere resulting from careful planning and attention to detail by Carton House golf. The Montgomerie Course, has been designed as a more open landscape, measuring 7,301 yd‘s the course has a links feel, with deep, strategically placed pot bunkers, well contoured fairways and large undulating greens. 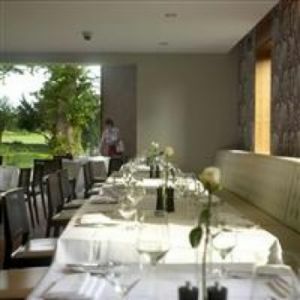 The golfer will frequently catch views of the Rye Water Lake as he/she enjoys a memorable game of golf at the Carton House golf course. The Montgomerie is synonymous with quality, and his unique and keen understanding of golf will ensure that the course that bears his name is indeed a masterpiece. 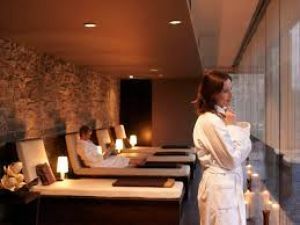 - Complimentary access to Carton Leisure Club which includes an 18 metre swimming pool, sauna & Jacuzzi to relax after a day on the course. The Ladies of Carton House Golf Club were Runners-Up in Intermediate Cup All-Ireland Final at Malone Golf Club when they lost out to Cahir Park Golf Club by 3-matches to 2-matches in 2017. They were led out by Emma Fox who went up the 19th before securing the point against Susan Carey, she was followed by Maura Bruton who lost out by 7 and 5 to Michelle Keating, next on the tee was Siobhan Plunkett recorded a 2 and 1 win over Breda Keating, in the penultimate match Ros McCarthy lost her match against Joanne Quaid-Noonan by 2 and 1 and in the bottom match Ann McQuillan brought Patricia Browne up the 23rd before relinquishing the point and the Green Pennant to the Munster Champions. They won the East Leinster Final at Charlesland Golf Club on Sunday 3rd September when the beat Castle Golf Club by 3-matches to 2-matches. Anne Webb led them out and had a bad day against Catriona Horgan when going down by 7 and 5, next on the tee was Maura Bruton who had a 2 and 1 win over Carmel Gleeson, she was followed by Sarah Taaffe who lost out to Anne Thornton by 7 and 5, in the penultimate match Siobhan Plunkett went up the 19th before recording the point and in the bottom match Ann McQuillan had a very comfortable 7 and 5 win over Fiona Shackleton. Carton House Golf Club won the Leinster Final of the Barton Shield when they beat Laytown & Bettystown Golf Club by 4-holes in the Semi-Final and UCD Golf Club by 3-holes in the decider at Howth Golf Club on Sunday 30th July 2016. With the All-Ireland deciders on their home course they drew Connacht Champions Galway Golf Club in the All-Ireland Semi-Final on Wednesday 14th September. They were led out by Gary McDermott with Alan Egan who lost out to Ronan Mullarney with Liam Power by 4-holes they were followed by J. Doherty with Paul O’Hanlon who had a 3-hole win over Joe Lyons with Cathal Nolan. So near yet so far, Galway went on and went down to a very strong Ulster Champions Warrenpoint Golf Club by 4-holes. Carton House Golf Club won the Irish Junior Foursomes Leinster Final at Greystones Golf Club in 2015. The team was, Dean Cafferty, Ryan Eccles, Bill Hannan and Eoin Sullivan. They were managed by John Ferriter. 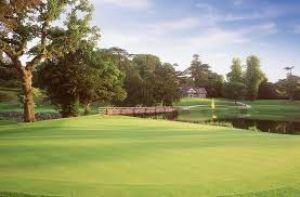 Carton House Golf Club won the All Ireland Fred Daly Trophy at Warrenpoint Golf Club on Thursday 28th August 2014, when they beat Galway Golf Club by 4-matches to 3-matches. They were led by David Carey who beat Colm Hughes by 3 and 1, next up was Marc Boucher who had a comfortable 6 and 4 win over Cathal Nolan, he was followed by Sean Walsh who lost his match against Michael O’Farrell by 2-holes, Oisin Devereux had a narrow 1-hole defeat against Paddy Culhane, next on the tee was Dean Cafferty who went all the way to the 20th before securing his match against Mikey Burke, in the penultimate match Darragh Walsh secured the green pennant with a 2 and 1 win over Sean Burke, the bottom match went to the boy’s from Salthill when Cian Hutchinson lost to Eoin Griffin by 4 and 3. They played Ulster Champions Lurgan Golf Club in the All-Ireland Semi-Final when they recorded a comfortable 6-matches to 1-match win, David Carey was first on the tee and won his match against Caolan McCann by 1-hole, he was followed by Marc Boucher who also had a 1-hole win over Peter Cummins, next up was Sean Walsh who recorded a 2 an 1 win over Jason McCann, Oisin Devereux had a comfortable 5 and 4 win over Ronan McGivern, he was followed by Dean Cafferty who beat Conal Patterson by 6 and 5, the bottom two matches between Darragh Walsh against Nathan McCann and Cian Hutchinson against Conor McDonald were both halved when called in. Carton House Golf Club won the Leinster Final of the Irish Senior Cup when they beat Dun Laoghaire Golf Club by 3½ matches to 1½ matches at Bray Golf Club on Sunday 25th August. They made their way to Royal Tara Golf Club to compete in the All-Ireland deciders, they were drawn against Ulster Champions Rosapenna in the All-Ireland Semi-Finals they were led out by S. McGlynn who won his match against Michael McDermott by 4 and 3 he was followed by D. Carey who went all the way to the 21st before relinquishing the point to Enda Kennedy next up was Niall McGlynn who lost his match against Donal Boyle by 3 and 1 the penultimate match of Sean O’Connor against Frank Casey Jnr. was a decisive 6 and 4 win for the North Donegal team and with it their place in the All-Ireland Final the bottom match of Colin Cunningham against Patrick Kennedy was halved when called in. Carton House Golf Club won the Leinster Final of the Fred Daly Trophy when they beat Bray Golf Club by 4 ½-matches to 2 ½-matches at Killeen Golf Club on Monday 25th July 2011. They went on to win the All-Ireland Final at Ardee Golf Club on Tuesday 16th August when they beat Co. Sligo Golf Club by 5½-matches to 1½-matches. They met Ulster Champions Balmoral Golf Club in the All-Ireland Semi-Final. First on the tee was Conor Glynn who lost to Matthew McLean by 1-hole, next up was Keith Egan who beat Stuart Bleakley by 5 and 4, next up was Harry Coyne who beat Daniel Carlin by 1-hole, Sean O'Connor was next and he had a 5 and 4 win over Aidan Cochrane, next up was Marc Boucher who beat Patrick Brennan by 6 and 4, the penultimate match of Sean Walsh against Ryan Straney was halved, the bottom match of Adam Talbot against Ted Harmon was also recorded as being halved. They met Connacht Champions Co. Sligo Golf Club in the All-Ireland Final, they were led again by Conor Glynn who had a 1-hole victory against Sean Flanagan, he was followed by Keith Egan who beat Declan Reidy by 5 and 4, next on the tee was Harry Coyne who beat Alan Gaynor by 1-hole, Sean O'Connor was next and he recorded a 2 and 1 win over David Brady, Marc Boucher halved his match with Thomas Finnegan, the penultimate and bottom matches of Sean Walsh against Conor Harte and Conor Gorovan against T. J. Ford were also halved. The result gave Carton House Golf Club their first green pennant in the short history of this young club and remarkably they went on to win the European Championship what an achievement for such a young club. I have been working for a long time trying to draw the ball and it keeps going right. I used to work with Bob Torrance but I'm on my own now. Why waste the money?"